Mandan Junior Jenna Thompson led all MR CTL shooters on 25-24 shooting in LW2. MR CTL Photo by Jason Lueder. 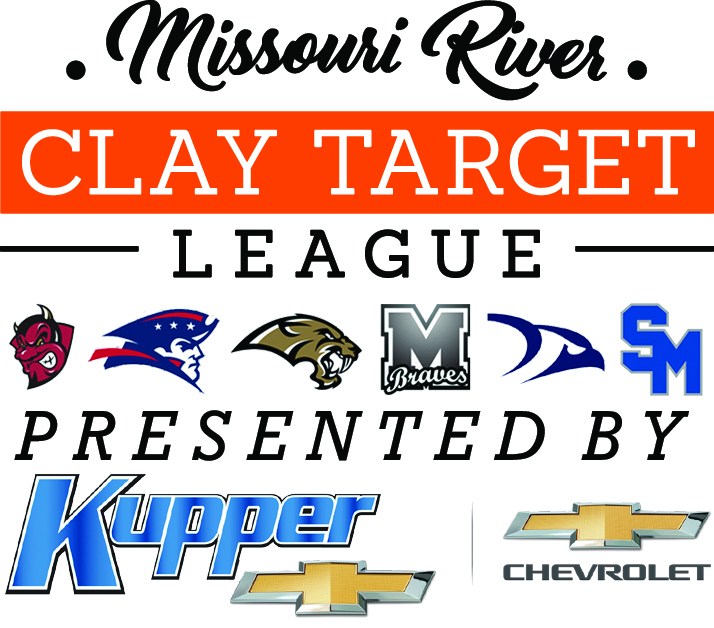 With representation of all six schools competing under the Missouri River Clay Target League (MR CTL) banner in the top seven positions for League Week 2, the second set of competition rounds logged at Capital City Gun Club showcased great shooting across the board and good improvement, despite cold and windy conditions. Mandan Junior Jenna Thompson led all shooters following up a perfect first round of 25 with a 24 and ran 46 targets straight on her way to a total of 49. Century Sophomore Lane Grant and Legacy Freshman McKeon Honeyman put up rounds of 24-23, to fill out the top three positions with totals of 47. Braves Sophomore Ian Eilers posted a total of 46 and was followed by Shiloh’s Andrew Ring, Bismarck’s Zac Steinke and St. Mary’s Jackson Wilson with totals of 45 for top seven finishes on the week. Thompson leads all female shooters in the state for the fall season with an average of 23.25 after two weeks of competition and sits 5th overall. “Jenna has a knack for shooting in tough conditions: wind, rain, cold, whatever,” said MR CTL Volunteer Coach Duane Boeder, “we saw it at state last spring and we’re seeing it now as fall gets colder and nastier, her focus remains strong,” he concluded. Formed in 2015, the ND CTL competes in a virtual format, where student-athletes log their scores at a local shooting sports facility, which are then entered into the league’s online scoring system, where teams and individuals are ranked against their competitors statewide. MR CTL teams are led by a staff of 25 coaches and supported by 55 volunteers who help instruct, score and supervise as part of the 2018 ND CTL fall season. The program is funded by generous donations from local sponsors including: Presenting Sponsor Kupper Chevrolet, Kirkwood Scheels, Delta Waterfowl-Puddle Jumpers Chapter, Nodak Sportsmen’s Club, Rocky Mountain Elk Foundation, Absolute Gun Dogs, Starion Bank, Lincoln Sportsman’s Club, Lexar Homes, Pretty Loaded, Warford Orthodontics, Lewis & Clark Wildlife Club, Wallwork Truck Center, Pheasants Forever-Lake McKenna Chapter, Advanced Business Methods, Entzel Trucking, RMS TriTec, Houston Engineering, Action Motor Sports, Double H Guns, Angie Sersha, Dakota Community Bank, iGear, Bobcat of Mandan, Central Dakota Strutters-NWTF, Prairie Patriot and Mandan Sporting Goods. Capital City Gun Club, located four miles north of Bismarck, is the home facility for all six area high school teams. Featured Photo: MR CTL Volunteer Coach Cody Thomas observes as Legacy CTL shooters take aim in LW2. MR CTL Photo by Jason Lueder.